Everyone could use a lil' love poison, don't think you can dispute that! 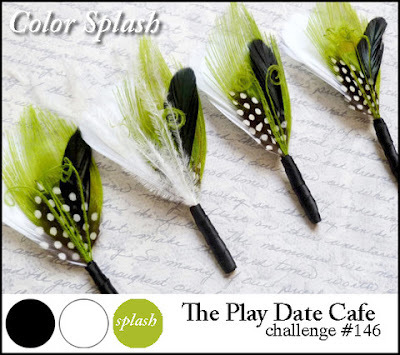 The Play Date Cafe challenge 146 is black, white, and lime. I had the perfect empty tequila bottle that I transformed into a Halloween love potion. The bottle was a tequila bottle, it was the perfect shape and perfect topper for a Halloween project. I peeled off the original labels and traced them onto patterned paper, stamped, and adhered back to the original position. Eternal love potion ;) the original label shape with washi and ribbon accents. The little batties around the bottle were stamped with StazOn ink. The bottle neck was wrapped with washi tape and tied together with a green ribbon. If ya take a look at this Play Date Cafe post you'll see that my Gracias card was the winner! yay!!! This is awesome!! Perfect Halloween potion container!! Love all the details!! Thanks for playing again this week at The Play Date Cafe! This is such a fun project, thanks for playing along with us at The Play Date Cafe! Love to see altered projects. This is super fun. Thanks for playing with us at The Play Date Cafe! OMG - this is so unbelieveably creative and cute!!!!! I'm so gonna do this for Halloween! The colors are also great - a play on the standard red for love... WONDERFUL! super FUN!!! thanks for playing with us at The Play Date Cafe!